Recently Dylan and I spent the day at the San Diego Zoo and it was the perfect day. A few clouds and sprinkles, but we didn't mind - this meant less people. We spent almost 8 hours walking around the zoo and I took over 100 pictures! Yes, we have been to the zoo many times before ... but this was my chance to play with my new camera. The subjects were so accommodating that I just kept clicking away. 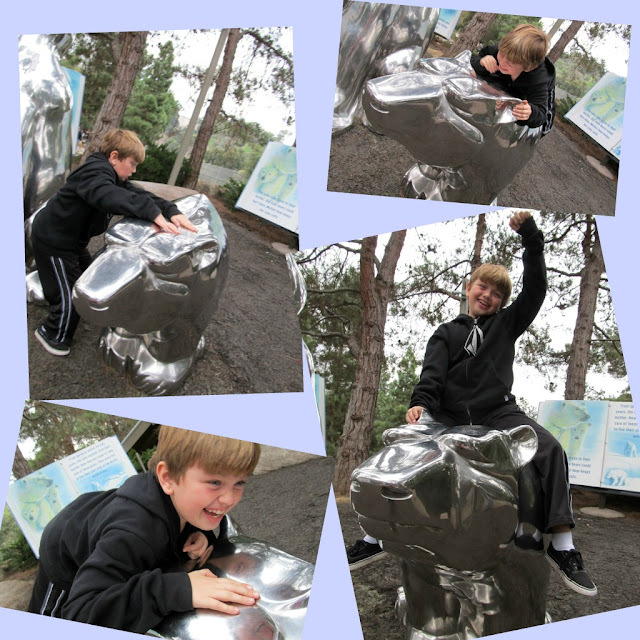 And I loved capturing these priceless candid shots of Dylan trying to climb on the polar bear statues. His pants didn't make it very easy - he kept slipping off. We both laughed so much.